Iceland is experiencing a summer heat wave this week, with temperatures rising over 25°C (77°F) for the first time since 2013, RUV reports. A season high of 27.7°C (82°F) was recorded yesterday in Fnjoskadalur, in Northeast Iceland. It has not been this hot in Iceland since Agust 2012, when it reached 27°C in the Eastern fishing village of Eskifjorbur. 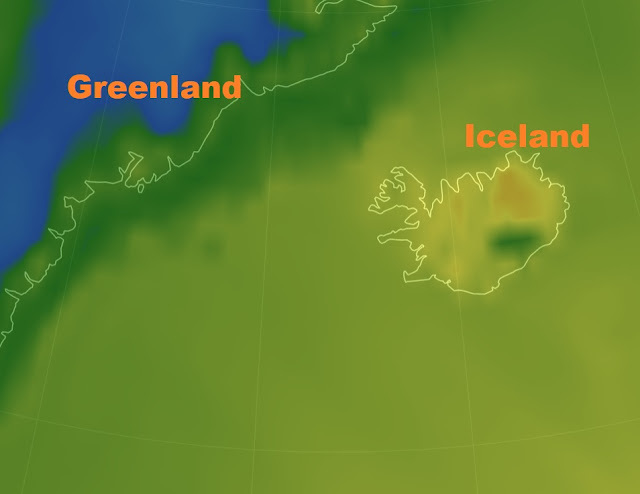 The average temperature in Iceland during July and August is 10°C (50°F). Between 2014 and 2016, temperatures never rose above 25°C, but this year has been hotter-particularly in the northeast. Today's forecast is for sunny weather throughout the country and temperatures ranging between 13 and 25°C (55.4 and 77°F).